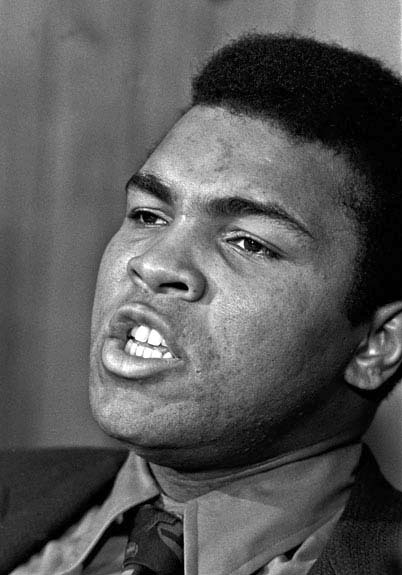 I identified with Ali as a peer, not only because he is only eight months older than I am, but also because his controversial, witty, and wild statements were compatible with my own outspokenness. I loved his bodaciousness. My father loved boxing. I learned to love it too, not quite at his knee, but when I was pretty young. 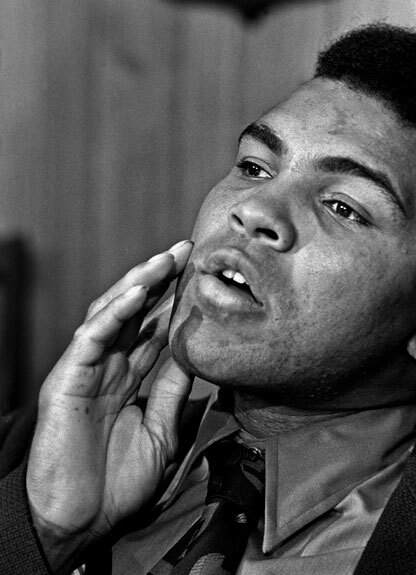 Dad and I both liked Ali from his early years when he was still known as Cassius Clay. My dad had some doubts about him when he renamed himself Muhammad Ali, but his enthusiasm for Ali’s boxing style never waned. 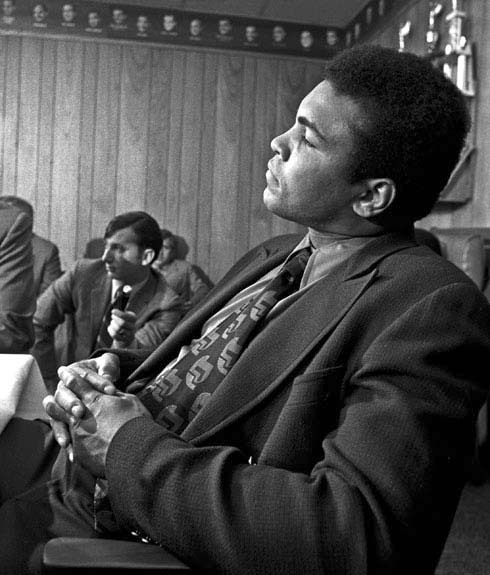 As for my own attitude, I admired Ali’s courage and determination in sticking to his convictions. When he joined Elijah Muhammad and the Nation of Islam, I was a little concerned, so it was reassuring to me when he joined a Sunni Muslim mosque in 1975. I respected his stance on the Vietnam War and the use of the draft during those years, even though I had served four years (and eight days) in the U.S. Air Force and would have served in Vietnam if called. Darell and I got to spend some down time with Ali in a motor home when he was a little more laid back. In that more private setting, he was straightforward and honest without any hype. He talked a lot about being a role model for others and working to get his career back on track. When we arrived at the SOS, Tom Mellis gave Ali a whirlwind tour of the Sportsmen of Stanislaus Club. While they were looking at the Olympic-sized swimming pool, Ali said to Tom, “this place is so nice, I think I will build me one.” I chuckled under my breath, but I don’t think Tom got the joke. 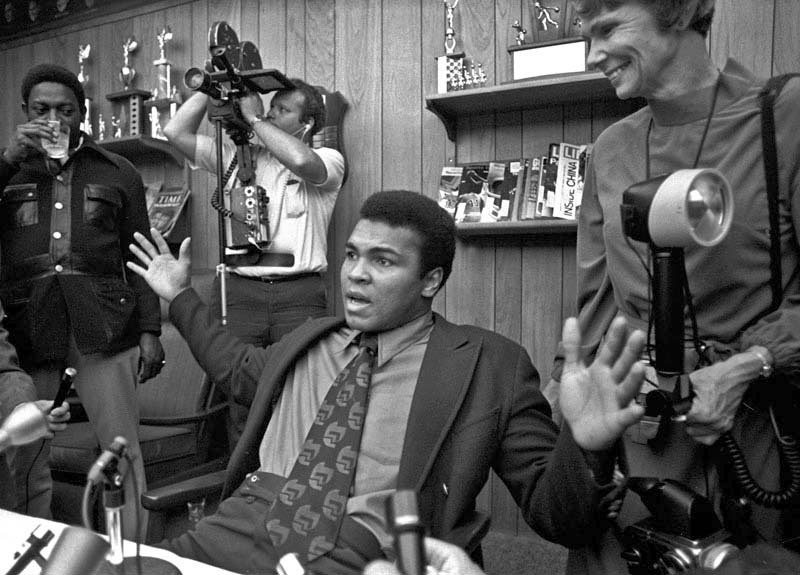 Ali listened carefully to the reporters’ questions, but didn’t always answer them in a serious way. He put on his bigger-than-life persona just like putting up his guard in a fight. In this image, he appears to drop his guard just as he would do in the ring to see if someone would take a wild swing or, in this setting, ask an easy question, so he could counterpunch with a quoteworthy response. During the tour, he checked out the piano and the pool table. He seemed really familiar with the pool table. During a receiving line with bigwigs like Julio Gallo, he just changed the subject every time something serious was asked. On the subject of his March 1971 boxing opponent, Joe Frazier, to whom he had lost one fight by decision Ali said, “Man he hits hard, so hard. 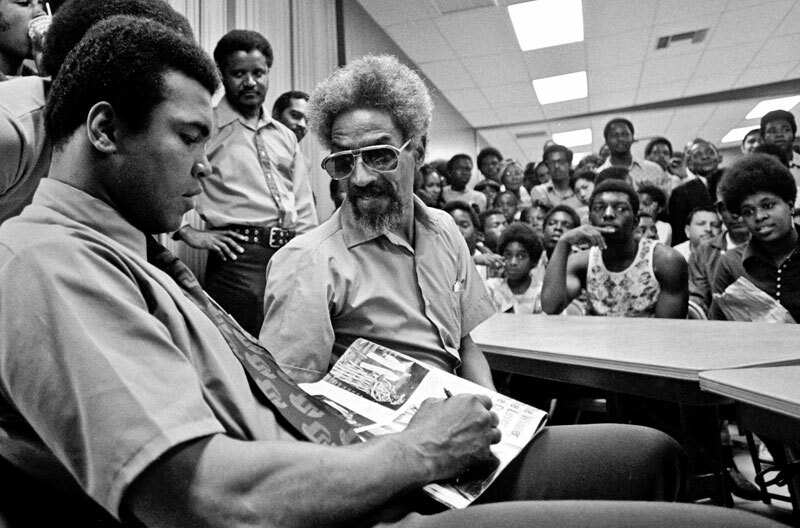 He hit me so hard in the fifteenth, my kinfolk back in Africa felt it.” A few years later, Ali would turn the tables, beating Frazier in two fights in two years. Mel Williams, a community leader, contacted Ali and got him to visit the Modesto African-American community. Mel got the word out with only a couple hours notice. 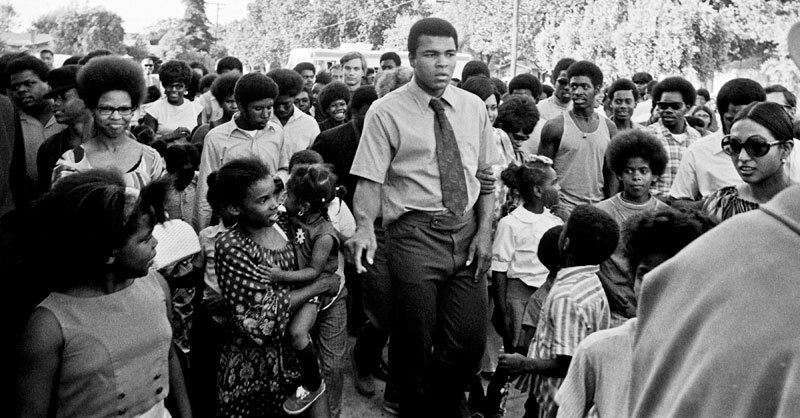 As Ali walked into the King-Kennedy Community Center, several hundred people swarmed around him. In the Center’s multipurpose room he signed autographs and hugged babies. 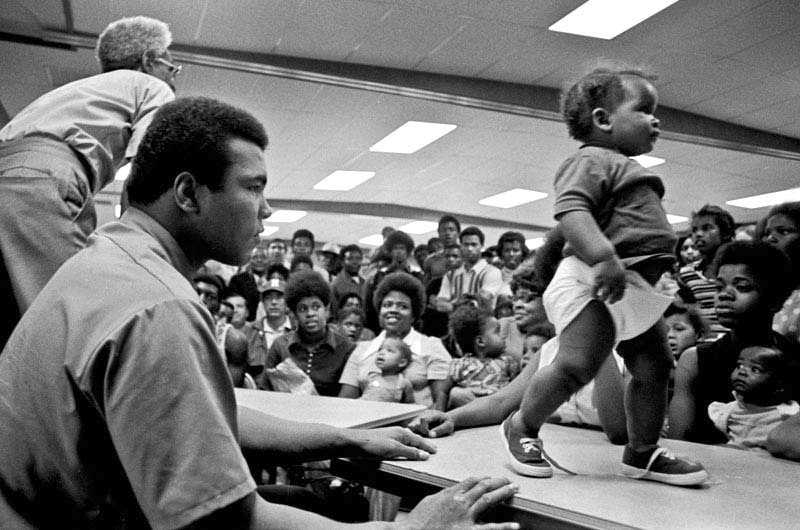 Young and old alike, everybody wanted to touch the champ. He didn’t have to say much, just his presence made the crowd happy. 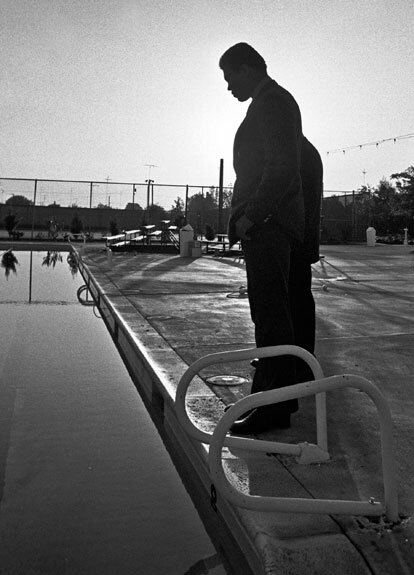 June 22, 2011 - 6:43 AM	Donna Birch - Thank you for sharing these images and the story of The Greatest's visit to Modesto, Al. 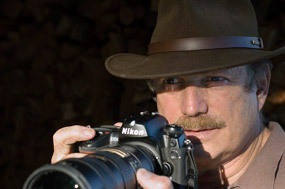 June 26, 2011 - 8:19 PM	Stephen Tyler - Your images are great - your storytelling even greater! My Dad was a big fan of the game too, and like you, I tried to follow along. 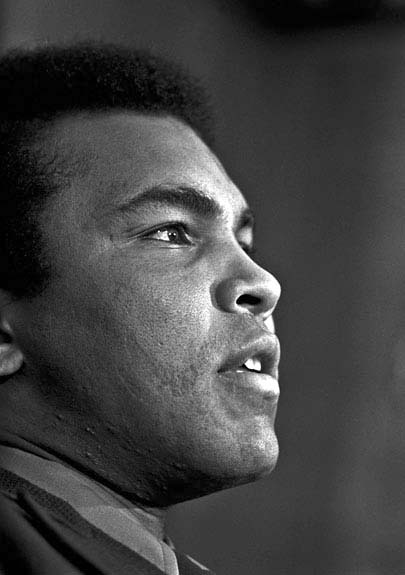 Ali was the first boxer I kept up with, from his Olympics bouts on our black & white tv set to the last when it was clear he needed to stop (and too late, as we all found out later). I saw him do a training performance once in Times Square, and paid money to see him on the big screen at the Loew's Valencia theatre in Jamaica, Queens (pay per view) for his first Frazier bout right after I got home from Vietnam. (USAF; I wasn't as lucky as you.) 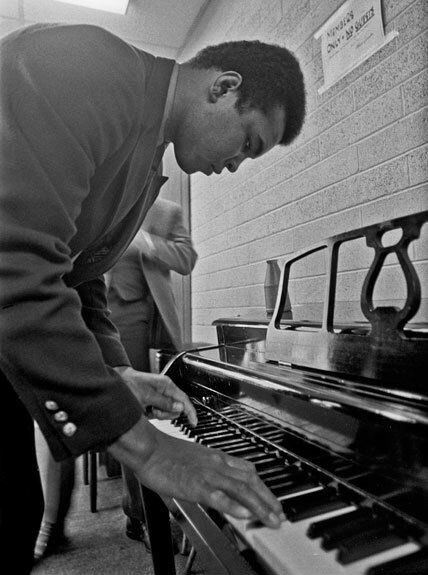 Thanks for sharing an image of Ali that most don't remember (or may never have seen)! February 7, 2012 - 2:33 PM	Marie Taylor-Briggs - First, thank you Al for the wonderful memories. I'm Rev. Taylor's daughter Marie. I found it hilarious (I have my Fathers sense of humor), when you stated that "Rev. Taylor watches as Ali signs an autograph." I'm "positive" that Daddy was blind and not watching, but instead doing what he did best; engaging in a conversation with Ali. September 27, 2013 - 11:52 AM	John Seavey - I was 8 going on 9 when I saw Rev. Monroe Taylor and Muhammad Ali walking around the grounds outside of the King-Kennedy Center in Modesto. I was there for a meeting of the Stanislaus Indian Club with my mother. I just happened to go outside to get some air, and I was amazed to see Ali outside, in Modesto. I slowly made my way up to the two men, I asked him if he was Muhammad Ali, he smiled and said yes. He asked me if I was a "slugger", I smiled and siad no. I told him if was very nice to meet him. He was a kind, gentle man with intelligence, I have never forgotten that wonderful moment when I met "The Greatest". June 4, 2016 - 2:41 PM	Gene Lieb - Al...You should publish a book using the same format as the Ali blog.